She’s creative, intuitive and driven - this lady is one to watch! 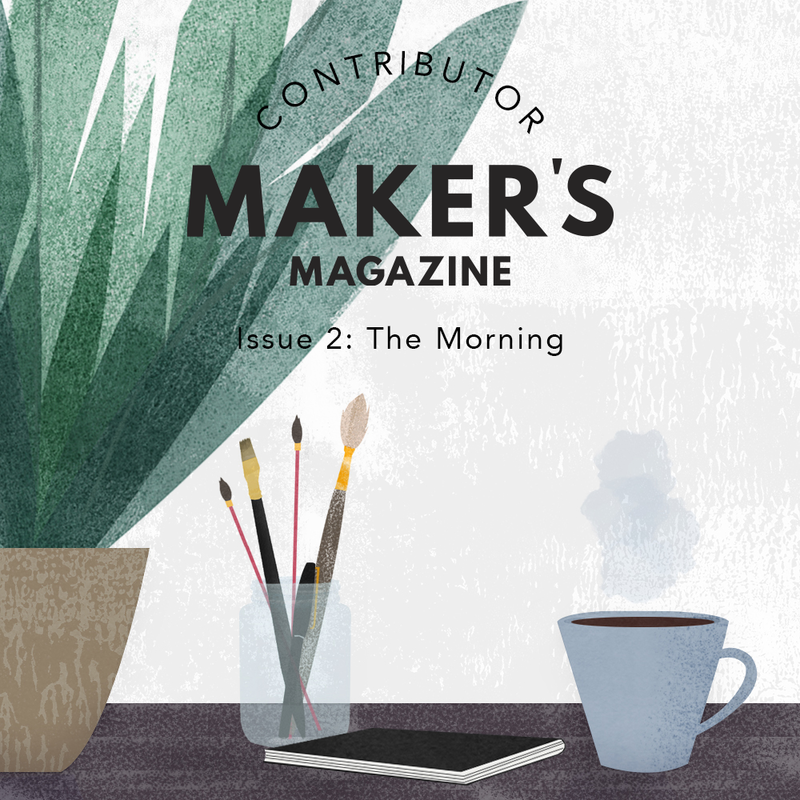 Meet Siiri Väisänen, the cover artist and supporting designer for Issue 2: The Morning. 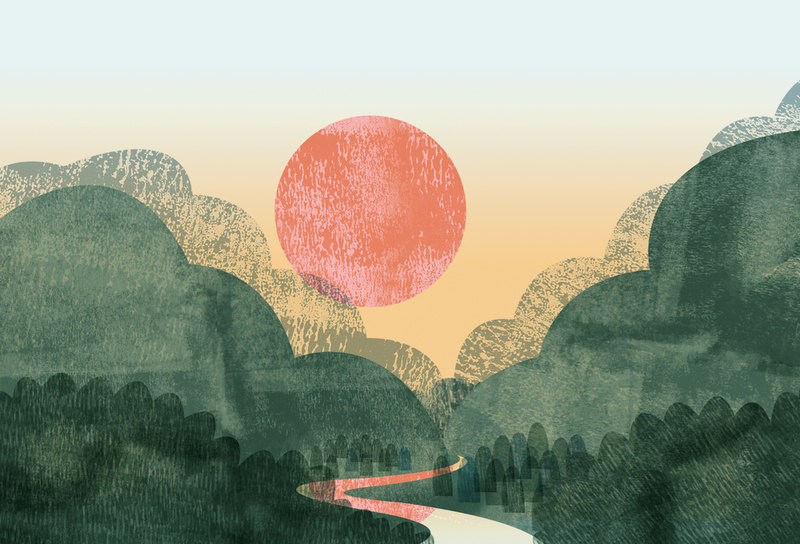 Aspiring towards a career in illustration , Siiri is entering her third year at De Montfort University in Leicester. Originally from Mikkeli, Finland, she was inspired to travel and felt some time studying in England would be the perfect chapter. Through colour and conveyed motion, The Morning cover brilliantly captures the feeling of waking up. Siiri shares: “this is my ode to those long summer mornings, when the warm sun shines through the blinds and dyes everything orange.” Inside the mag, you’ll find her three-part series of illustrations, where she explores the morning spent in different seasons: summer, winter and autumn. (Buy Issue 2: The Morning for the full series). Siiri also designed the moving gif on our website homepage, social media graphics, our ‘Wake and Make’ patch, and the ‘Thank You’ postcard included with all orders. In a brief Q+A, we chat with Siiri about her journey as a young artist, and how her work has evolved. When you were younger, what did you want to be when you grew up? Did you always want to pursue a creative path? Oh, I wanted to be all sorts! I remember that I wanted to be an archeologist, zoologist and a botanist. I wanted to collect all the different species, make a book about them and illustrate it! I am still a curious person, though only the illustrating part has really stuck with me. I have been creating since I was a kid. I used to make my own little comics and flip books for my friends and teachers. As a teenager, drawing really helped me and I slowly started to feel like it could be something I could do for living. Of course, I am still walking this path, but I feel like I’m getting closer to my dream every day. Has it always been illustration, or have you dabbled in different mediums? How has your art evolved over the years? I didn’t experiment much with different mediums when I was younger - I mostly used pencils and painted. I remember I wanted to be a fine artist back then! Later I became interested in animation and illustration, and started to try out new things. I think that is when I also started to mix different mediums together, and started to have digital elements in my work too. The first year in university really taught me a lot, and I feel like my style is more recognizable than it was before. I feel that I am more courageous these days, and I’m not afraid to mix things up a bit. I noticed a lot of your work involves walking - is there inspiration behind this theme? I love long walks! Taking walks and exploring your surroundings is a great way to feel inspired, I think. 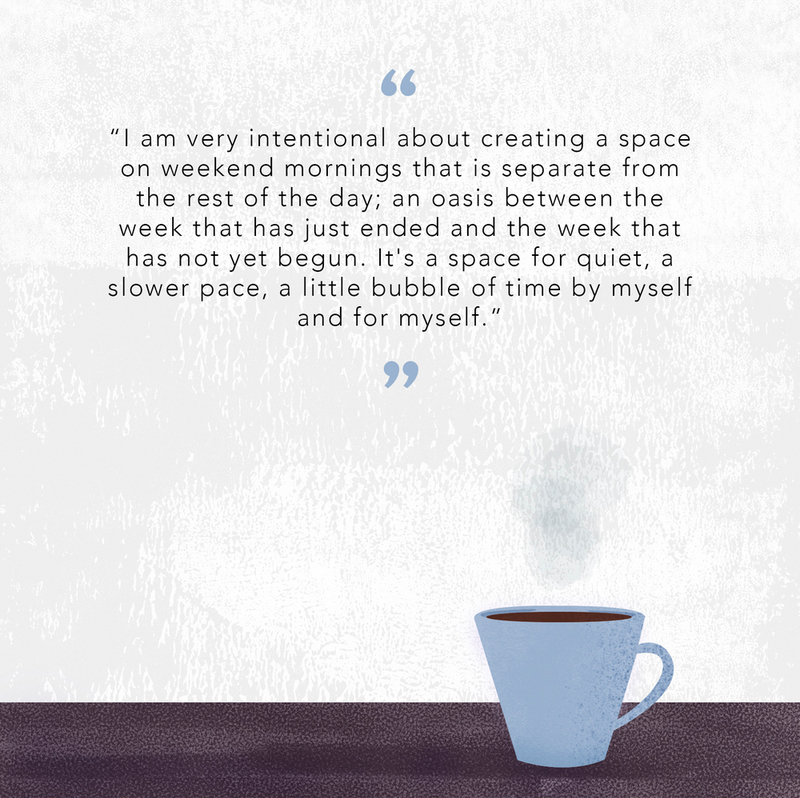 It is important to give yourself some time to breathe and relax. The greatest thing about Finland is that there is nature everywhere - we are basically surrounded by forests! I live in a city, but I only need to walk for three minutes to find one. I enjoy quiet places where I can be alone and let my mind wander. Speaking of walking, can you walk us through your creative process? It always starts with loads of ideas. When I get home from my nature walks, I usually sit at my table and start sketching/drawing/painting/cutting paper and getting down as many ideas as possible. Sometimes it doesn’t lead to anything, but it’s fun and usually takes away the pressure of creating. There is nothing worse that being stressed about your work! Eventually I find a theme or some bigger idea that I like. I like experimenting, and I don’t plan too much. This way the creative process is quite free. It is quite instinctual really. Sometimes I might create the piece in an hour or so, sometimes it takes several days. There is no way of saying when a piece is finally done - there seems to always be something more you could do! For me, it is the moment when I feel happy with how the piece looks. I usually give it some time and look at it later - if I still feel good about it, that is it! What has been your biggest challenge as an artist so far? Being consistent! I tend to have creative periods when I am constantly making something and have multiple projects to work on. Then I have times that I feel like not doing much at all and only do little things at a time. I think the tough part has been to accept it and be chill about it. Not doing much stresses me out, and that’s not good for creativity. It’s good to remember that you can’t create amazing things all the time, and that it’s okay to have a little time off. I has also been important to learn to do and create things that I like to make, not something that I think others would like me to make. Even as an illustrator and working with clients it is important to keep your own vision and stay true to yourself. It’s not always so easy, and I still have a lot to learn.